C-star’s fourth edition builds excitement across the breadth of the retail industry, as exhibitors and trade professionals prepare for the exciting start of this year’s trade fair. C-star 2018, themed “Shape the Future of Retail” welcomes a total of 110 exhibitors from 12 countries and regions to Shanghai New International Expo Centre from April 26 – 28, ushering in new retail solutions. As an official satellite of EuroShop in Düsseldorf, the world’s no. 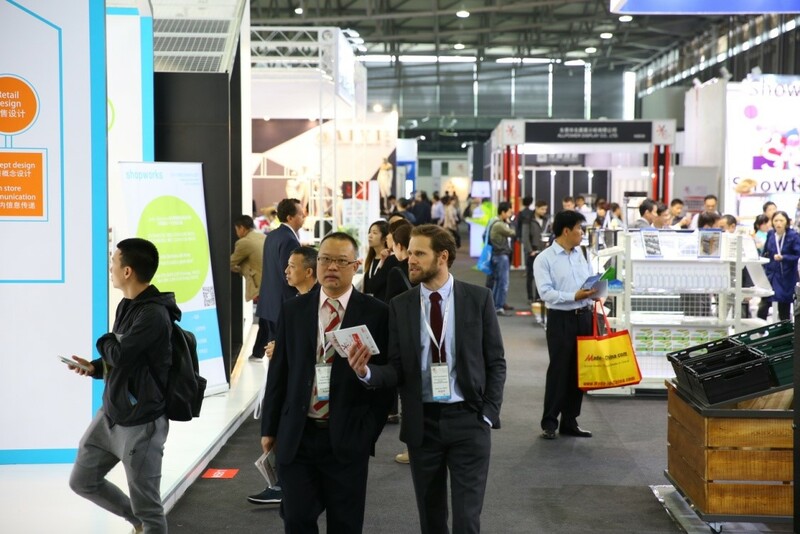 1 retail trade fair, C-star will continue to present innovative products and creative solutions from international suppliers focusing on the Chinese retail market. C-star has become the proven platform for finding market opportunities in China, rightfully gaining support from a wealth of regional and international industry associations as well as insights from experienced and successful retailers. The collaborations are highlighted by C-star’s exciting event programme including an insightful C-star Retail Forum, EuroShop Retail Design Award (ERDA) and C-star’s Brand Zone. This year’s C-star Retail Forum brings a world-class list of retail experts and retail solutions providers to Shanghai. Leaders from established brands including those from Abuzz, Garde, Lawson, Lidl, Metro, Miniso among others, along with retail experts from EHI Retail Institute, Eurasia Global Limited, China Shopping Center Development Association of Mall China, Australia Azurium (Shanghai) present an exciting and insightful wealth of keynote speaker to the forum. The EuroShop Retail Design Awards (ERDA) again bring international flare to C-star 2018. This year's successful participants were required to combine unique shop architecture concepts, colors, materials, lighting and visual merchandising. From a variety of 85 proposals from 27 countries 35 projects entered the final round. The jury of international retail experts selected the most impressive and prolific retail design trends around the world and EHI and Messe Düsseldorf will jointly celebrate the winners of the eligible award on the evening of April 26, after the first day of C-star 2018. C-star’s Brand Zone is a premium stage for exhibitors to present their newest and most promising products and solutions to the audience across the globe. For 2018, innovative solutions providers including Shopworks, Futuristic Store Fixtures, Koscar, BOE , CITYINNO etc share their newest shop concepts, smart retail products and solutions to a globally connected audience of shop managers, solutions seekers, and wide range of retail professionals. C-star 2018 will debut the exciting ReTailor Hub, a brand-new solutions platform offering visitors customized and unique selection of display and store solutions to maximize customer acquisition and retention. Driven by adaptation to new technologies, the upgrade of consumption experience and the new form of retail business, the inaugural edition of C-star’s ReTailor Hub features key brands ROCOCO and Classic Teddy, bringing innovative atmospheres and stylish aesthetics. Along with the aforementioned brands will be 11 retail solution service providers offering solutions to visitors in a 300-square-meter area filled with smart retail and technologies. C-star will again present chic and compelling designs with artistic flare and smart technologies, brought by Designer Village and Technology Village. Within these special zones, leading design studios from all over the world will build and display unique and aesthetic-focused stand designs to offer visitors with advanced and all-encompassing service solutions. Magnificent visual merchandising and shop design will bring an extraordinary shopping experience for a new era of retail shops and their prospective customers. New retail concepts focus on intelligent omnichannel-solutions to provide a seamless shopping experience for the customers. C-star will present the most promising solutions for the integration of those services as well as innovative communication tools. C-star continues its successful collaboration with HOTEL PLUS Shanghai – Total Solution for Commercial Properties, offering ‘The World of Retail’ - a one-stop retail and commercial space platform. The complementing sectors offer strategic synergies for participants and stakeholders while covering broad topics of retail design and equipment, franchise chains andself-service The World of Retail is the premium choice to find opportunities, discover market trends and showcase new products and technologies in the retail space. Before visiting C-star 2018, visitors are strongly encouraged to pre-register online to claim complimentary value-adds, including an official Show Catalog (valued at RMB 100), Free entry to C-star 2018 (valued at RMB 30), and Free access to the entire lineup of forum sessions. Visitor pre-registration will be closed on Apr 25. You may pre-register through C-star website or official WeChat channel.